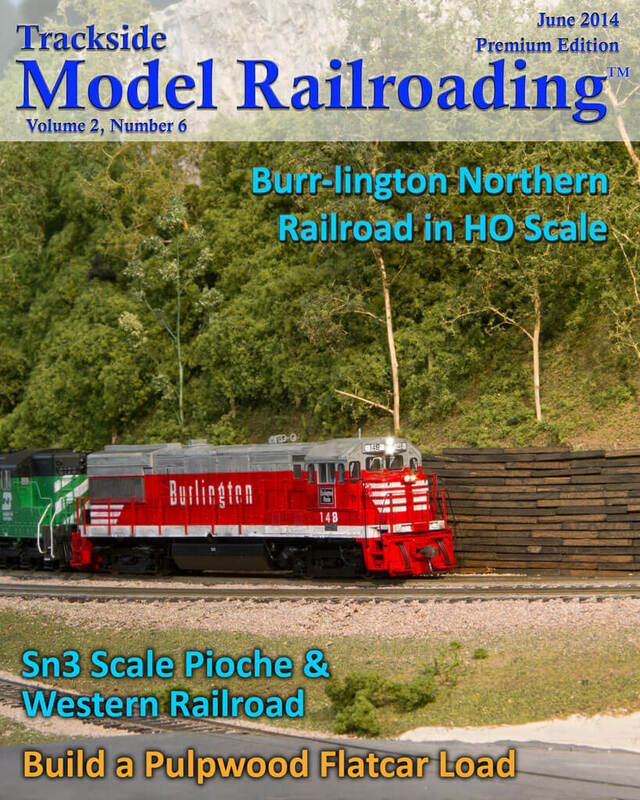 Burr Stewart models the Burr-lington Northern from Bellingham, Washington to South Seattle and east into the North Cascades. Set in 1973, the HO scale layout runs the colorful mix of railroads that were common right after the BN merger. Burr also models a small logging and mining narrow gauge railroad in the mountains. Bob Christopherson models eastern Nevada's Pioche & Western Railroad in 1925. 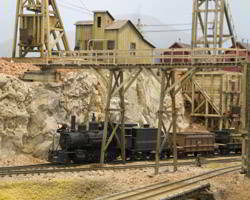 The Sn3 layout is modeled after the Pioche Pacific Railroad and serves several silver mines in the area around Pioche, Eureka, and Milltown, where the silver is milled. 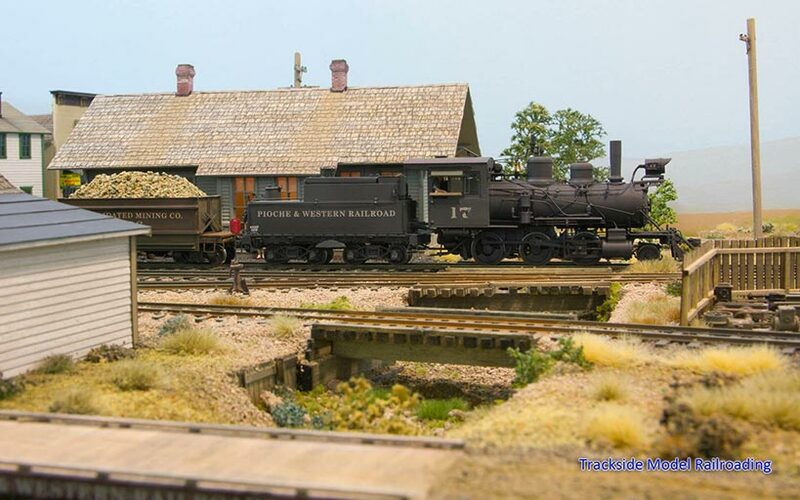 Bob is a skilled modeler who has built several layouts and scratch-built most of the structures on the layout. 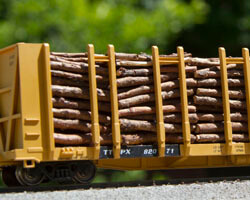 This month's instructional article gives step-by-step instructions to build a pulpwood flatcar load. 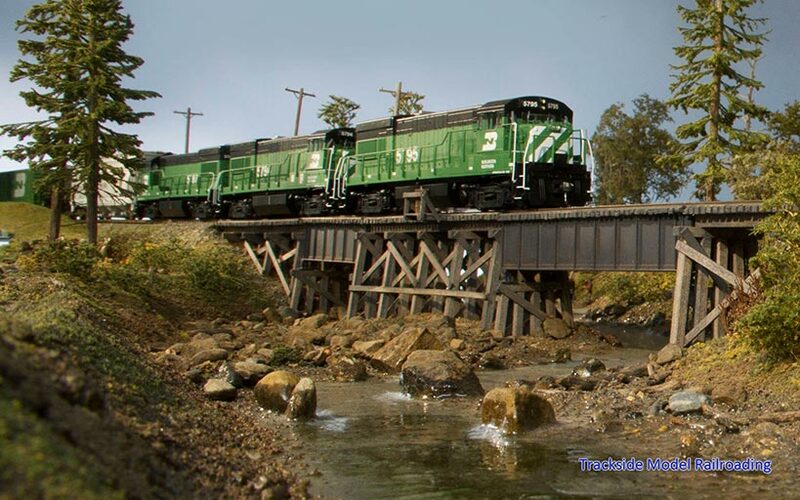 It is a simple and affordable project which will lend realism to your layout, and should be a project that any newer modeler can accomplish. A video is included which shows all of the steps.